David Otunga shirtless pictures in high quality. 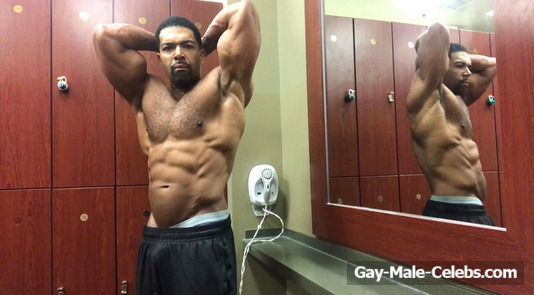 The verdict is this – David Otunga has one of the hottest bodies in all of sports entertainment. You gotta love looking at his pecs and whatever. Too hot. Shirtless David Otunga pictures in high quality. The guy has a beautiful beefy body and his face ain’t too bad as well. Granted, he’s not that talented at anything, but he’s a hottie. Enjoy looking at his pictures.